The X-Men Apocalypse Memorial Day Box Office numbers are in and they show that the film crushed the Alice in Wonderland sequel handily. This Memorial day was a big one at the box office. Not only was X-Men Apocalypse, unhealthy the latest installment in the X-Men series, unhealthy arriving in theaters. So was the sequel to the breakout hit Alice in Wonderland (2010). Both films had built in audiences and both were follow-ups to big commercial hits. Unfortunately for both films, price their domestic opening weekends weren’t as stellar as expected. 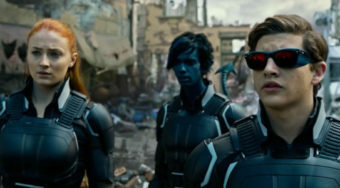 With both films faring poorly with critics, the movies suffered but the X-Men still managed to have a solid opening weekend, buoyed by its success overseas. With that in mind, let’s take a look at the big winners and losers at the box office. This sequel, which reportedly cost 170 million, opened with less than 30 million. 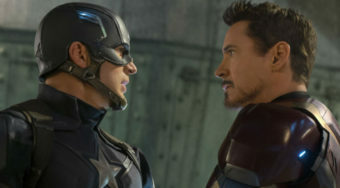 BoxOfficeMojo.com, which reported the film’s budget also noted that the movie has already grossed 65 million in foreign markets. That means that the film could ultimately recoup its budget but it won’t come near the international gross of the 2010 Alice in Wonderland feature, which grossed over 334 million. X-Men: Apocalypse, as expected, opened at the top of the box office. The feature though has received very mixed reviews with a 49% approval rating on RottenTomatoes.com. That’s a sad state of affairs considering that the original movie in this series received 87% approval on that site and the beloved Days of Future Past scored a whopping 91% RT rating. 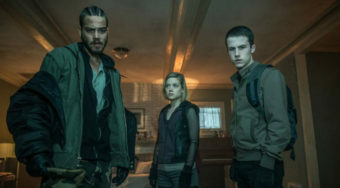 According to BoxOfficeMojo.com, Apocalypse has already earned more than 265 million at the international box office which is more than enough to make up for the film’s reported budget of 178 million. The box office might not hit the highs of Days of Future Past but it’s hard to disagree that this is another superhero hit. After a rough opening weekend, this Seth Rogen-led sequel plummeted even further in its second weekend. It fell more than 58% at the box office. Considering that the film probably had a meager budget, these numbers aren’t terrible but Universal was probably expecting the sequel to the breakout hit to do a lot better than these numbers suggest. The studio has had some tremendous success this year so one expects that Alice‘s low numbers will slow them down at all, especially when the first trailer for the studio’s Beauty and the Beast remake (set for release in 2017) is already breaking records for viewership.